You believe that bugs belong outside and want your home completely free of annoying critters. You do not, however, want to harm yourself in the process of trying to get rid of unwanted house guests. Consider using the Stringer indoor insect trap to satisfy all of your pest control needs. This insect carrier is safe for the environment as it is free of chemicals found in most, if not all, pesticides. 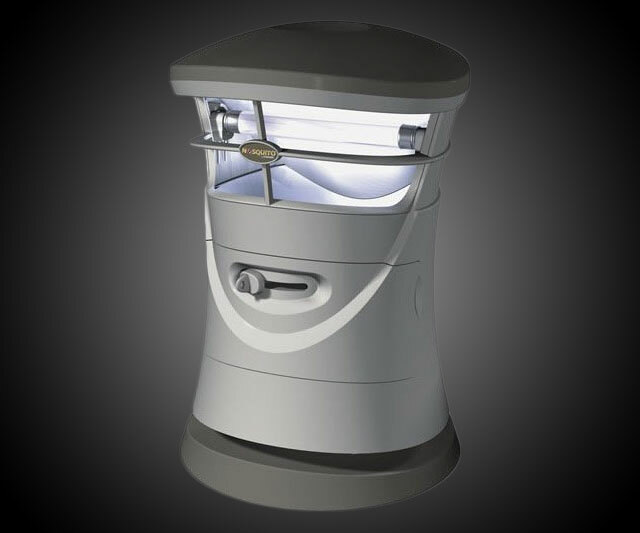 The Stringer insect trap is crafted to attract flying insects with a UV light that shines brightly in the dark. Flies and other critters navigate towards the trap where they eventually dehydrate and die due to the intense heat emitted from the bulb. Whereas some traps force you to touch dead insects in the process of cleaning the trap, the Stringer snare allows for easy refreshing. Dehydrated insects fall into a catch that you can later pull out and empty without laying a finger on dead critters. Replacing the light bulb is also a cinch as the top easily snaps off for easy installation. Perhaps one of the best attributes of the Stringer indoor insect trap is its thinness. While not as slim as some items used to control pests, the Stringer trap is rather light to carry. The snare is just under four pounds, which makes it the ideal gadget to move around the house. You can place this trap in the kitchen in the morning, and move it to the restroom at night without straining any muscles at night. Assembly is also easy, which further adds to its mobility. The Stringer indoor insect trap can be used to rid your home of flies, gnats and other insects that find their way in. These snares are also great for garages and sheds.